Brighten up your look. Floral patterns work especially well with a wardrobe that’s filled with dark coloured-solids. Adding a burst of flowers builds an interesting contrast with an otherwise gloomy ensemble. In gives just your outfit just the right hint of personality and flavour. A fun floral blouse for instance can perfectly complement a black business suit. It also works just as well with a dark hued-cardigan and jeans. 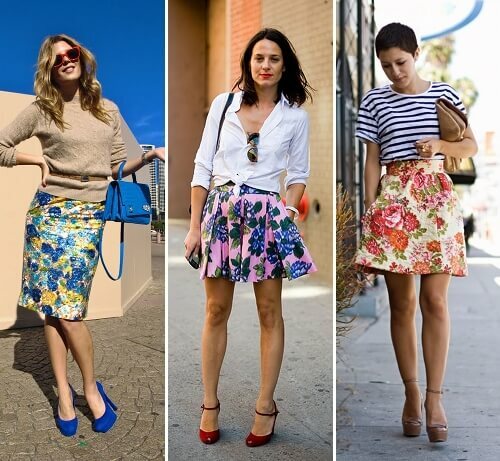 It is in the same fashion that a floral patterned-pencil skirt looks warm and chic with a solid tee and blazer. Keep it in scale. Floral patterns have the tendency to overwhelm the frame of its wearer. A large floral pattern, for instance, easily overpowers the frame of a petite female. An intricate pattern of small flowers, on the other hand, tend to look too delicate on a much larger woman. Other factors such as the contrast of colours also influence the very math of wearing floral outfits. It is always good to remember that bold colours and high-contrast colours provide the illusion of a wider figure, compared to lower contrast colours. Go for floral bottoms. Many people are more than sceptical about floral bottoms. This might as well be understandable especially for people who don’t like to draw attention to the lower part of their body. Otherwise, floral bottoms are fun and playful options that you can explore. Floral bottoms can be worn tastefully depending on the colours, contrast, and scale of the overall outfit. 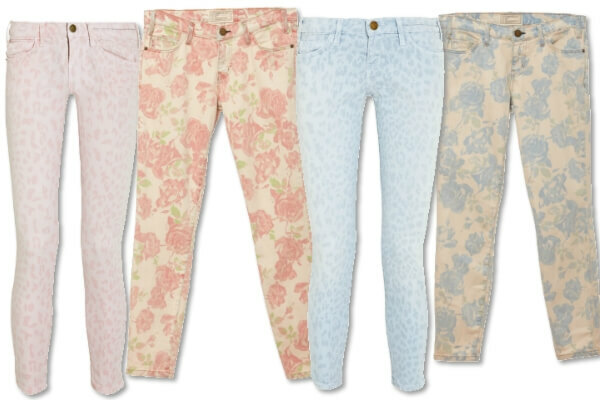 When wearing floral pants, remember that it should be the only thing that attracts attention. The rest of the outfit must be toned down. Apart from pants, there are also floral shorts for those who want to show off their legs. Accessorizing with floral pattern accent helps an otherwise duller outfit blossom into a cuter feminine look. A floral shoe, for instance, easily adds flair and flavour to a pair of wardrobe staple black pants. Floral flats can spice up anything from slim-cut jeans to a solid skirt. A floral clutch bag is yet another detail that perfectly complements a solid cocktail dress. Adding simple floral accents such as a silky floral scarf, or a floral hat can make your outfit really stand up. You can also try matching a key colour in your already floral outfit to a particular accessory if you want to go a bolder yet complementary look.